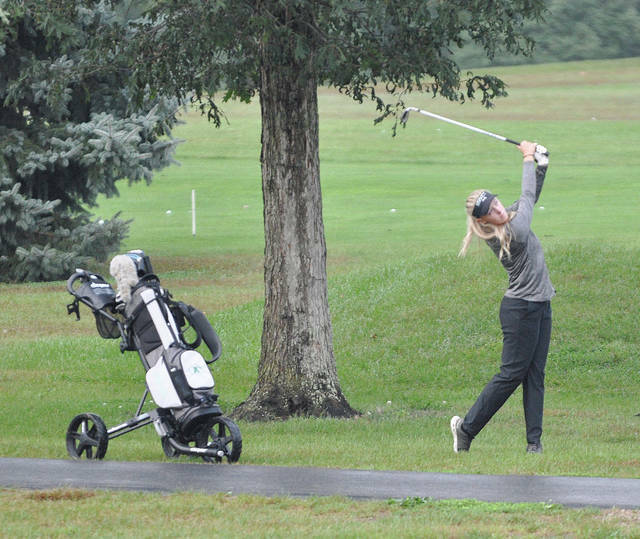 Rob Kiser|Call Photo Russia’s McKenna Borchers watches her drive closely on the first hole Wednesday. 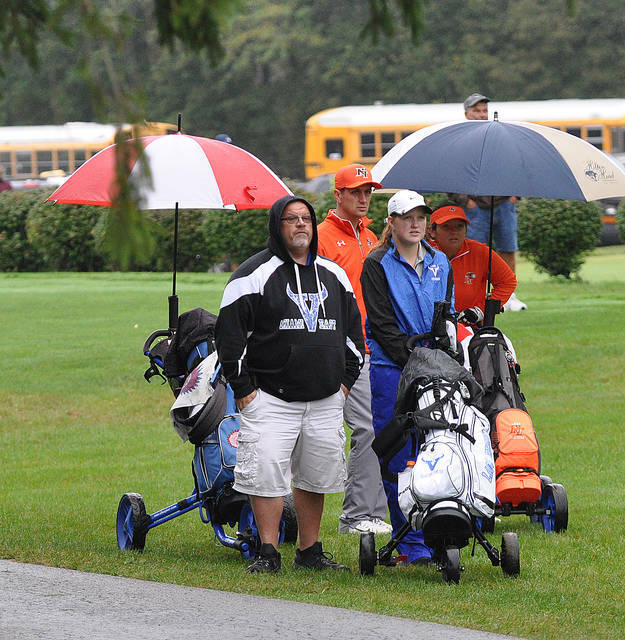 Rob Kiser|Call Photo Versailles’ Alexis Jay watches her birdie putt on the first green Wednesday. 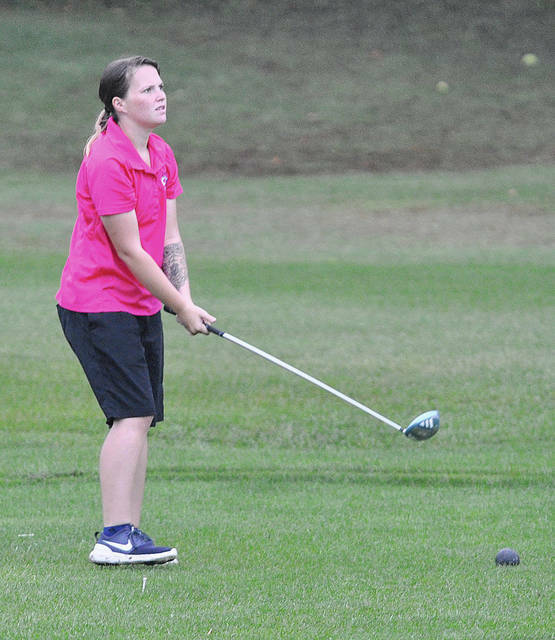 Rob Kiser|Call Photo Miami East’s Paige Lawson watches her approach shot on the 10th hole Wednesday at Stillwater Valley Golf Club. 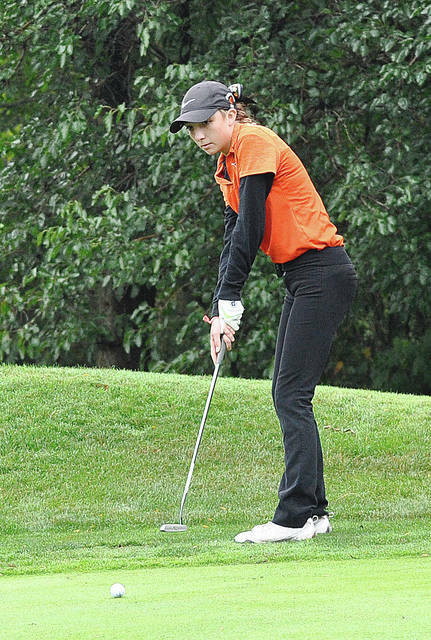 WEBSTER — Some big contributions from some unexpected sources led to Versailles and Miami East extending their seasons at the D-II sectional golf tournament Wednesday at Stillwater Valley Golf Club. 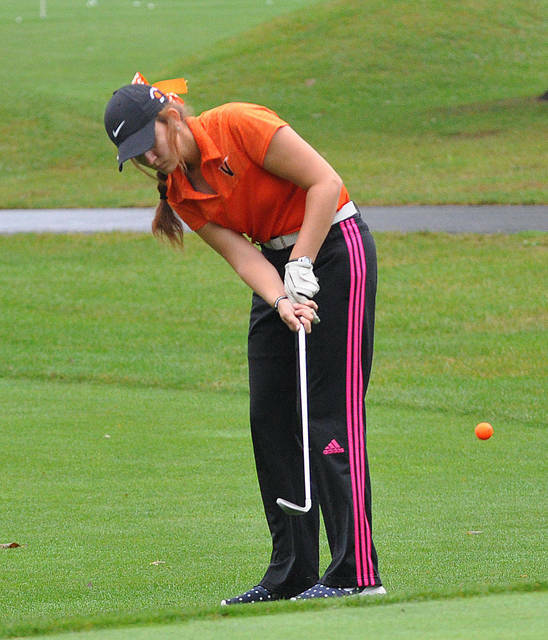 Versailles shot 396 to finish third, while Miami East shot 405 and got the fourth and final spot on a fifth-man tiebreaker. And for the Lady Tigers, it was fourth girl Alexis Jay that was the story. Jay, a sophomore, had Versailles’ low score of the day with a 92. 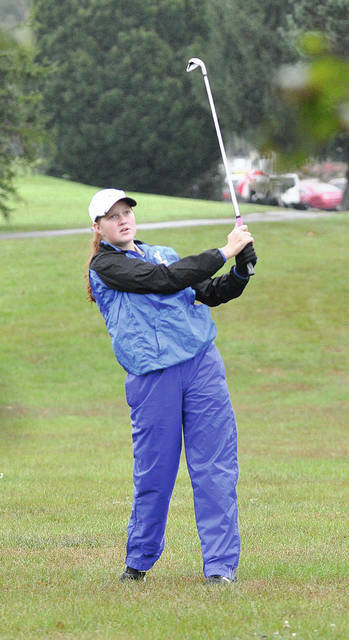 Other Lady Tiger scores were Morgan Heitkamp 99, Morgan Barlage 101, Maddie Durham 104 and Cayla Batten 109. Keiser was not surprised by Jay’s performance. It was even more dramatic for Miami East. 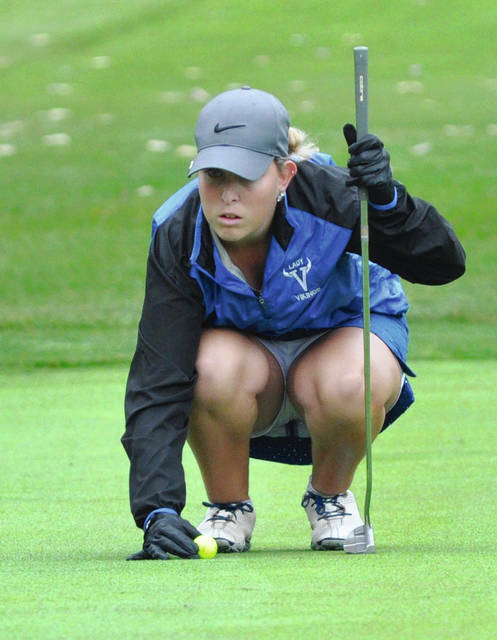 Fifth girl Katie Pottorf needed to come in with a 103 for the Lady Vikings to have any chance to move on — and she did exactly that. That put Miami East in a tie with Anna with 405. 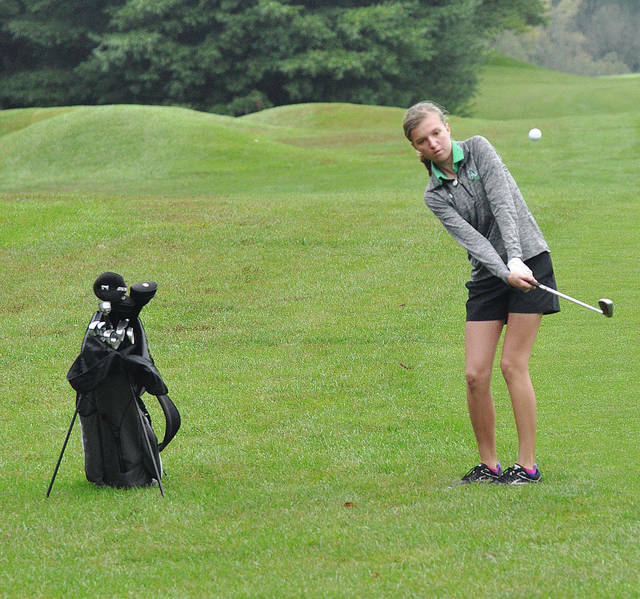 Anna’s fifth score was 132, while East’s fifth score was 115, giving the Lady Vikings the tiebreaker. “I saw Anna had a 132, so I knew our fifth score was a lot better than that,” Vanover said. Another key for East was the finish of Paige Lawson. 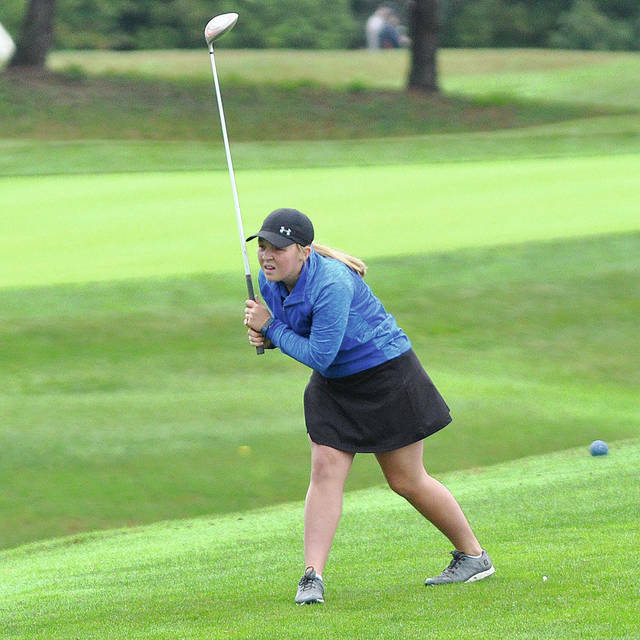 After shooting 48 on the difficult back nine, she came in with a 39 on the front nine to lead East with an 87, four strokes from being medalist on the day. 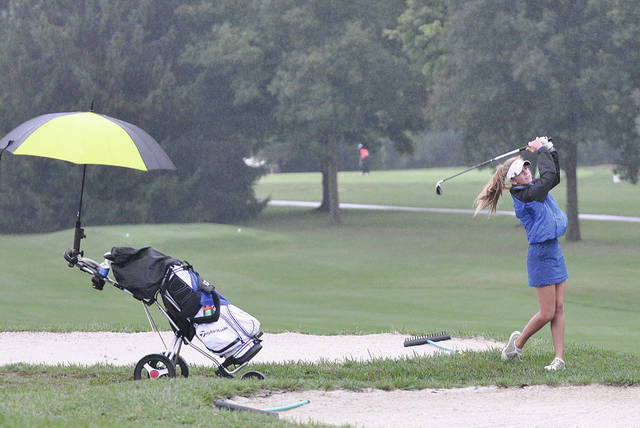 Miami East’s other scores were Kirby 101, Pottorf 103, Marissa Kearns 114 and Maci Krites 115. Covington finished 11th with a 466 total. Covington scores included Sarah Slusher 110, Morgan Lowe 114, Emily Hedrick 117, Katie Hembree 125 and Emily Thompson 130. Russia freshman McKenna Borchers shot 119. The district tournament will be played Wednesday at Pipestone Golf Course. 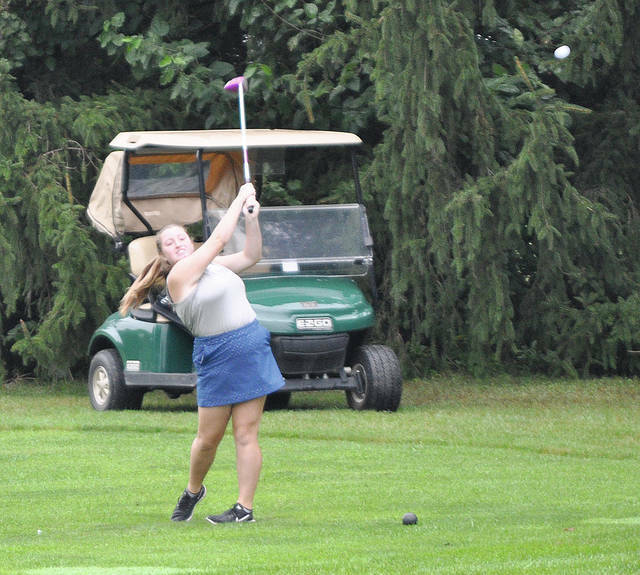 The Piqua girls golf team finished fifth in the GWOC North and 10th overall with a 466 total in the GWOC tournament Wednesday at the GWOC tournament. Kelsey Bachman led Piqua with a 102. Other Piqua scores were Adde Honeycutt 115, Reece Tate 123, Skylar Sloan 126, Hannah Anderson 131 and Caitlyn Roberson 132. 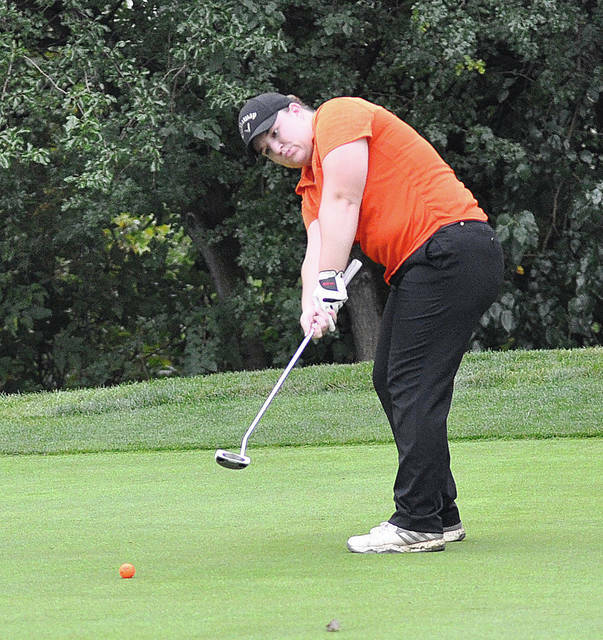 Versailles junior Connor VanSkyock shot 81 in the D-II sectional at Pipestone Golf Course to advance to next week’s district tournament as an individual. The Tigers just missed getting one of the four team spots at district, finishing fifth with a 358 total. 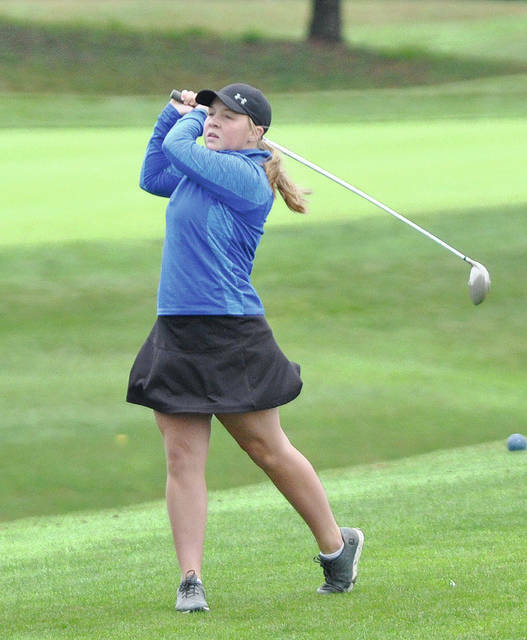 Other Verailles scores were Alex Keiser 87, Austin Pleiman 94, Will Eversole 96 and Ethan Kremer 103.
https://www.dailycall.com/wp-content/uploads/sites/30/2018/09/web1_mckenna2.jpgRob Kiser|Call Photo Russia’s McKenna Borchers watches her drive closely on the first hole Wednesday. 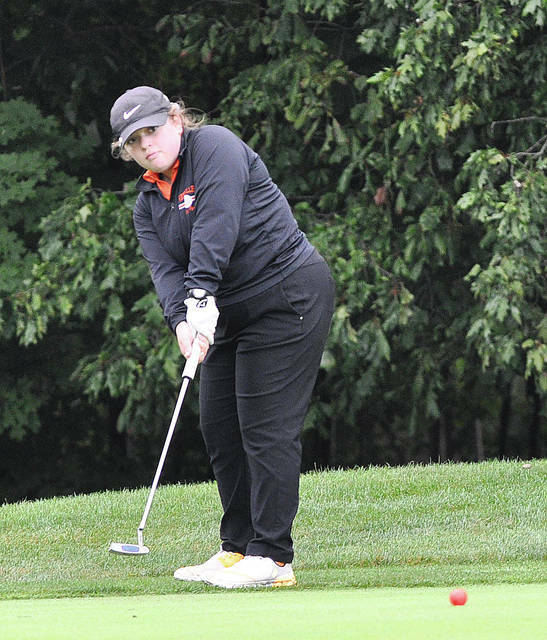 https://www.dailycall.com/wp-content/uploads/sites/30/2018/09/web1_versailles4.jpgRob Kiser|Call Photo Versailles’ Alexis Jay watches her birdie putt on the first green Wednesday. 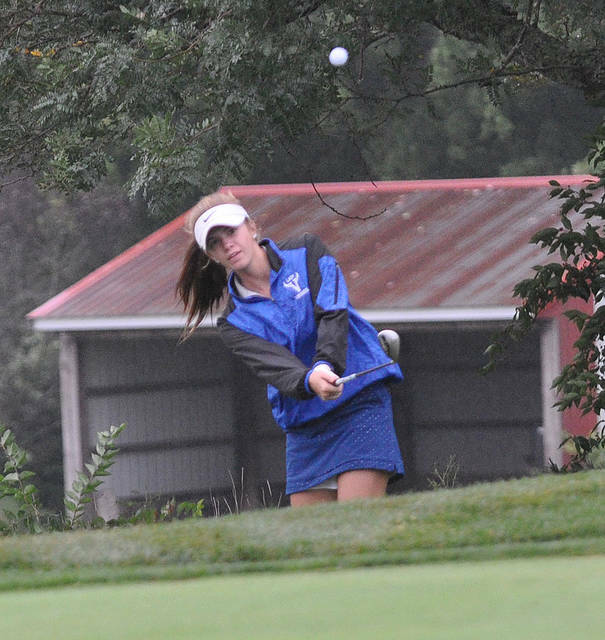 https://www.dailycall.com/wp-content/uploads/sites/30/2018/09/web1_paige1.jpgRob Kiser|Call Photo Miami East’s Paige Lawson watches her approach shot on the 10th hole Wednesday at Stillwater Valley Golf Club.